We have created & managed many types of podcasts. From instructional 'water-cooler' style, training aids for large companies with a remote workforce to individuals who are a thought leader. We have extensive experience curating video for all needs. From promotional, event, Instagram dedicated and other social video, as well as e-learning videos. There isn't much we haven't encountered. As we have had many years of experience, from editing International Feature Films to Video Production of almost every regard in the UK, we offer the highest quality training offers for you. Molly met Ben at University in 2001, and after a few years of distance, they found each other again and had two wonderful boy together, being George and Rafferty. Ben met Jonny at a photography event in Bristol in 2008. Molly met Jonny at few weeks after when Ben asked Jonny for a tea and scones at a Cotswold cafe soon after. Overall we are all creatives who just click together. Bruton-Cox Media are a Video Production Cheltenham company specialising in Corporate video production to businesses and individuals across the UK. We are a full service, corporate film and video production Cheltenham company. We specialise in corporate video production services and social media promotional videography. Bruton-Cox Media are a videographer or a full service video production company basedin Cheltenham, specialising in corporate video production and social media promotional videography. Headed by Cotswolds filmmaker and DoP, Benjamin Bruton-Cox, he and his wife Molly created Bruton-Cox Media. They are proudly based in the heart of Cheltenham and offer their clients a premier video production service. Since 2007, we have been helping clients create custom-made video products, ranging from promotional social videos, green screen news style shows to events and conferences, but where we specialise is in corporate advertising. Delivering high concept artistic videos for our clients. Our wide range of experience allows us to bring a wealth of knowledge and aptitude to every project. No matter the size or scope, our Cinematographers have the necessary skillsets to go above and beyond your expectations. That’s our goal; that’s our purpose: we deliver results that astonish as much as inspire. 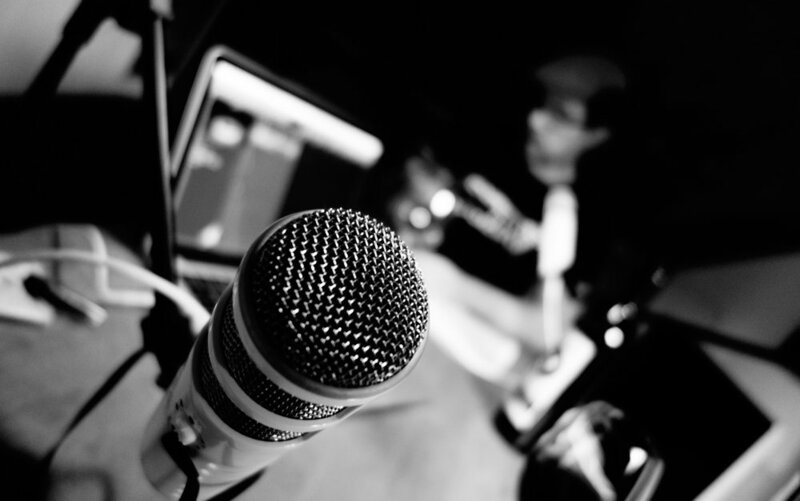 Podcasts (internally or externally) are fast turning into the best way to keep staff fully informed about products, services or with the latest news. They are truly a revolutionary way access information in a friendly and informative manner. We have been running a successful podcast over the past few years on a very niche subject, video production. We have amassed over 500,000 plays/downloads over this period (that we know of) and have garnered sponsorship from leading video suppliers all around the world. We know what we are doing. We have been working with UK based companies to create their own podcasts. Whether it is for internal training, motivation, awareness or as a marketing aid, we know what you need to do in order to get your message across. Benjamin Bruton-Cox talks about how his podcast, Our Week In Video has changed his career. Top tips and information on how he has grown his niche podcast and gained a loyal fan base. Filmed early 2018. Interested in working together? Let's schedule a free consultation below. Our expert advice and opinions on how to make your video resonate with your audience.